Well the parrot challenges never fail to disappoint - well done everyone! This week the challenge is :Feast of Flowers. 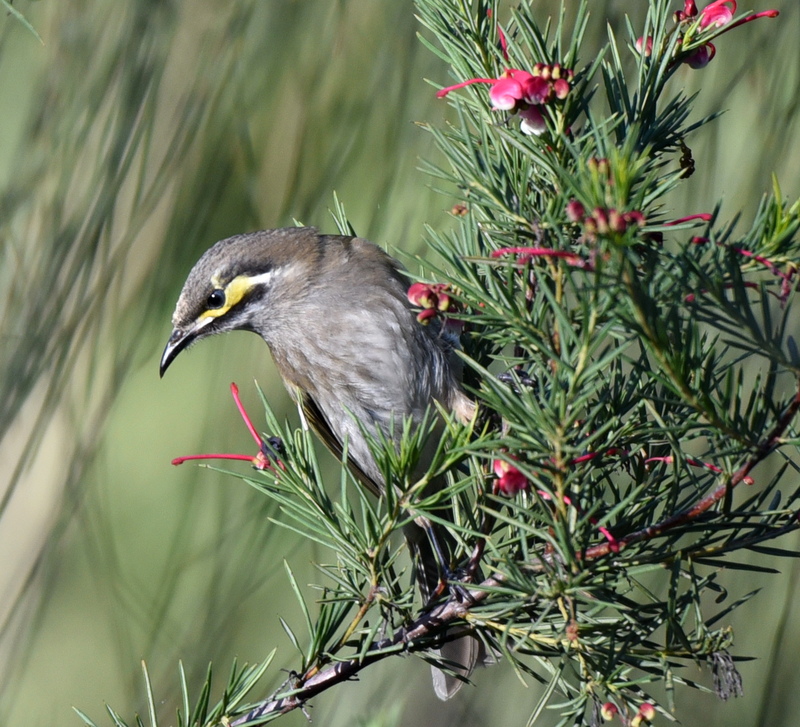 Share photos of birds snacking on flowers (or their nectar) or even just some great examples of our beautiful native flowers. 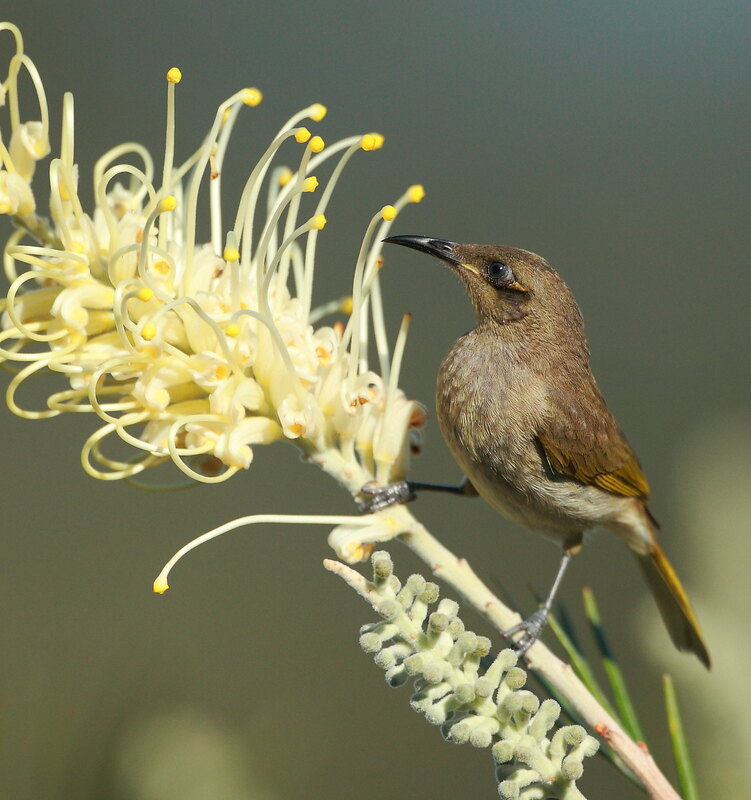 The Grevillea Moonlight at home has a particularly good crop of flowers at the moment and is attracting plenty of these tiny Brown Honeyeaters. 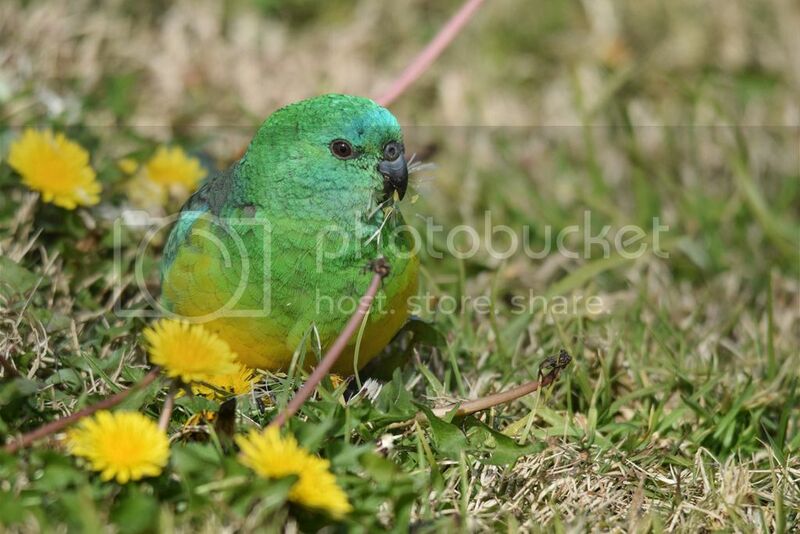 Lorikeet near Chiltern rest stop. 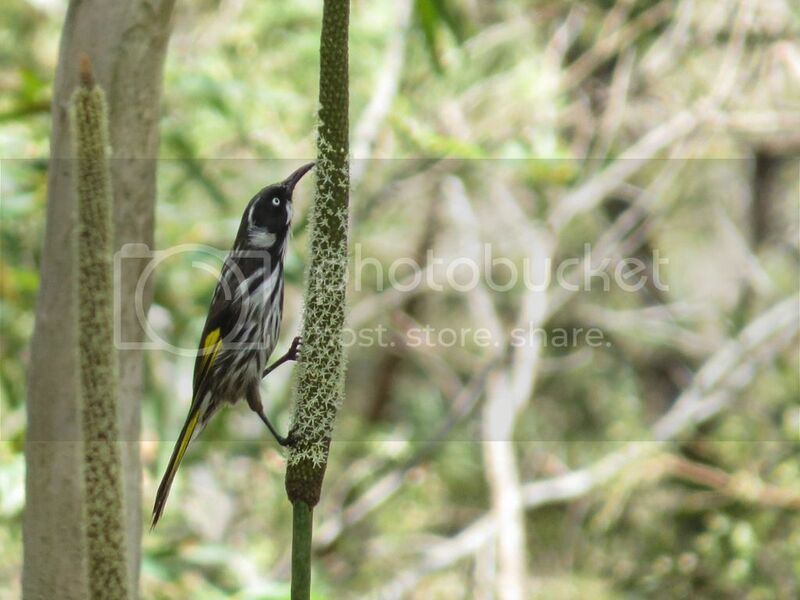 A New Holland Honeyeater feeding on the Grevillea. 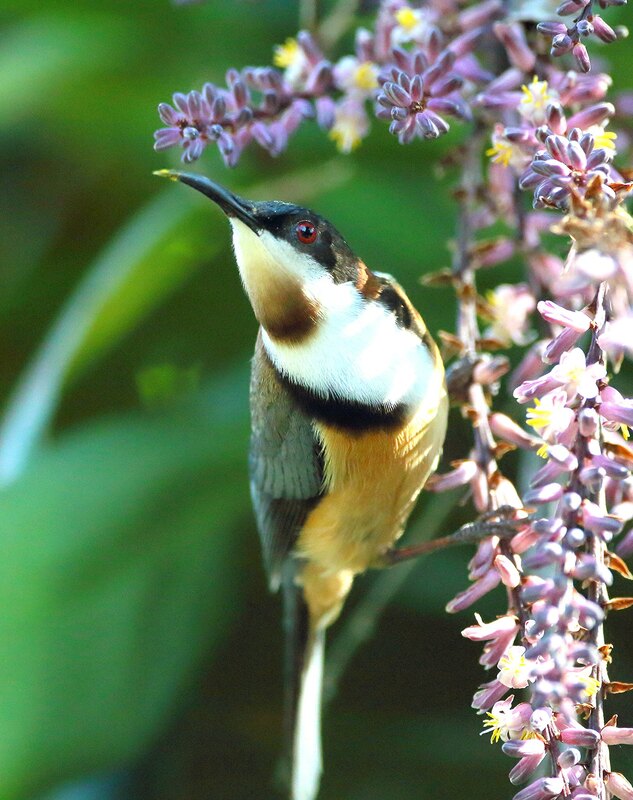 An Eastern Spinebill having a feast in a friend's garden at Mallacoota. 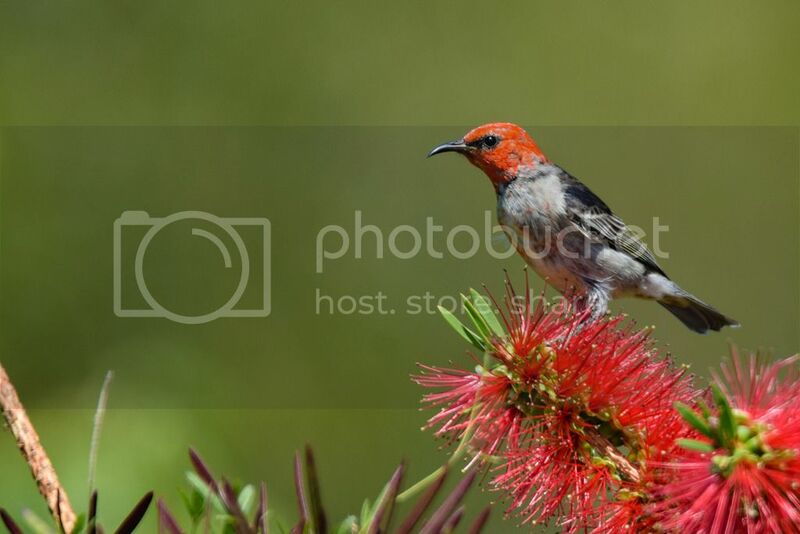 Looks like a young bird WD, with the mottling around the head and the size of the flowers on the Callistemon compared to the bird? 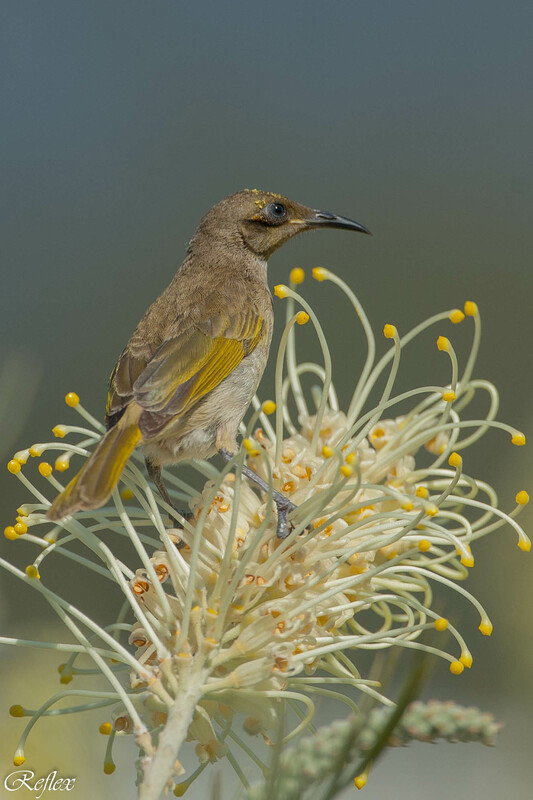 Here's another Brown Honeyeater. 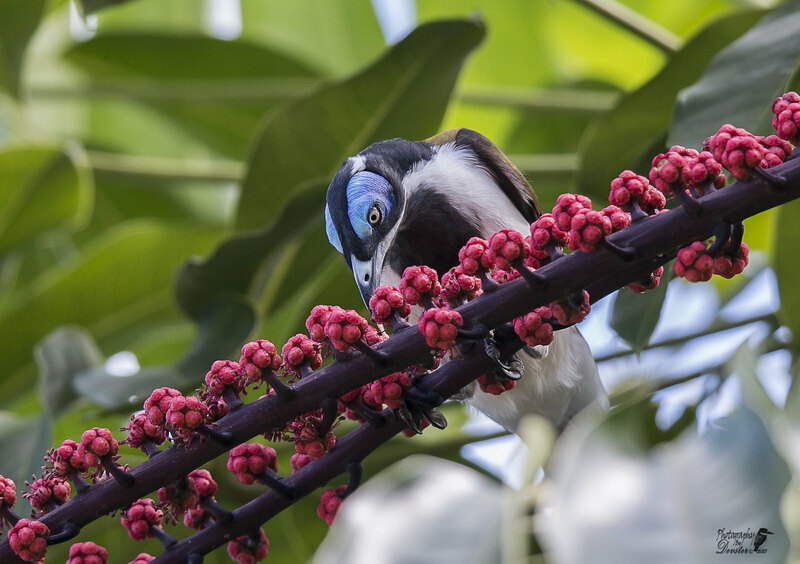 I had quite a session with these birds this week-end but I also feel I made some advances with Lightroom as well after a year or so of a love/hate relationship. Up to his beak in it ! You are right, not the best specimen .... at the ugly duckling stage in his development. 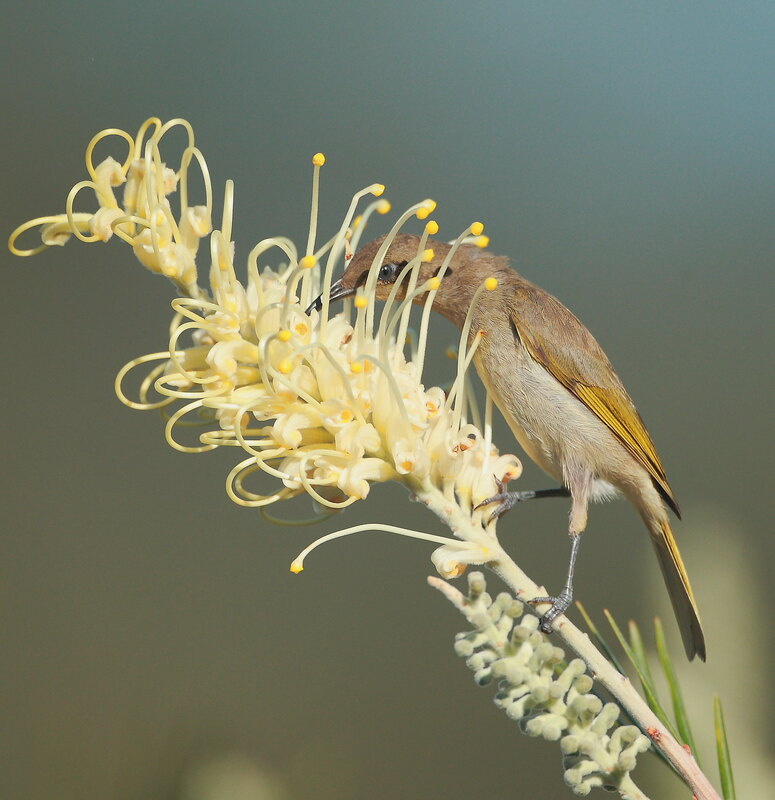 Great photos of the brown honeyeater in the grevillas! 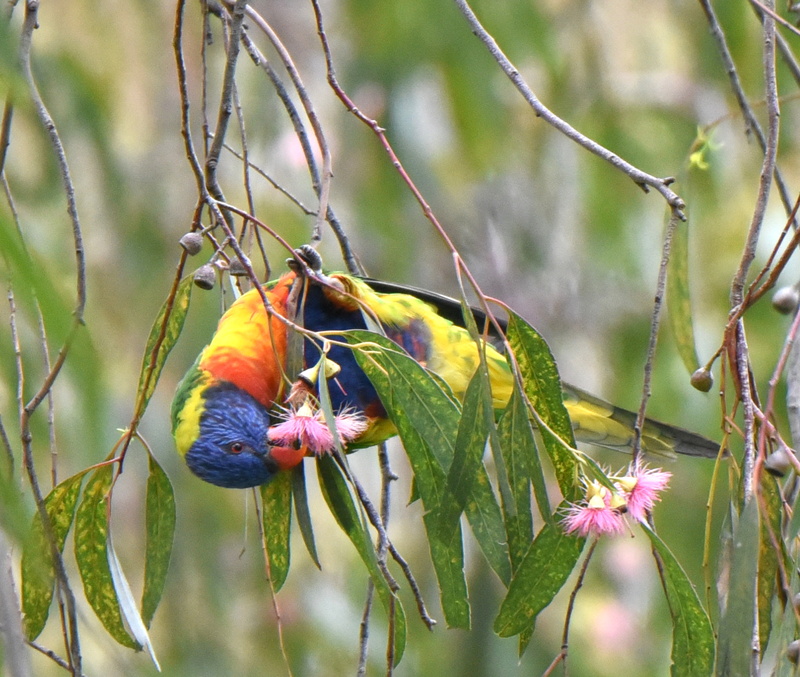 Rainbow Lorikeet feasting on gum blossoms. This Scaly was haning upside down for his feed. 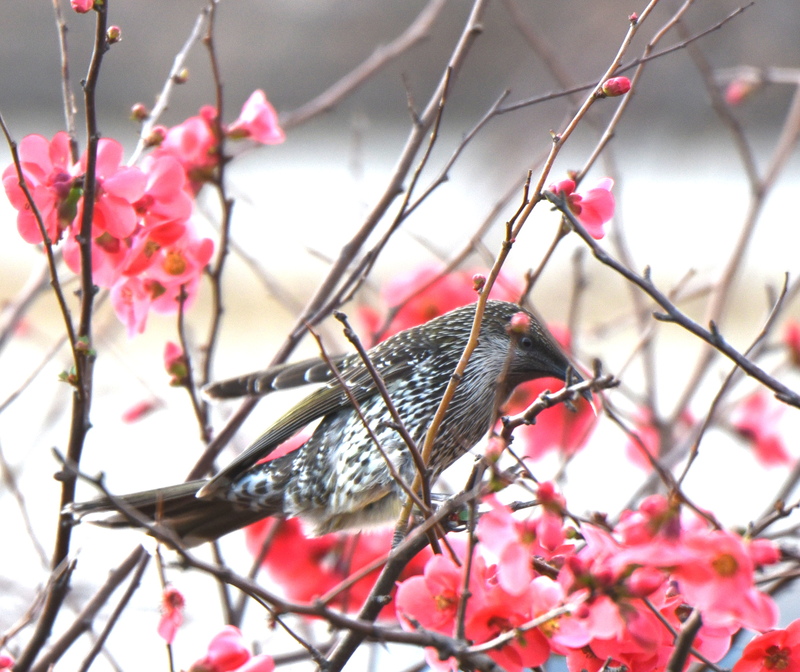 Little Wattlebird feeding on plum blossoms. 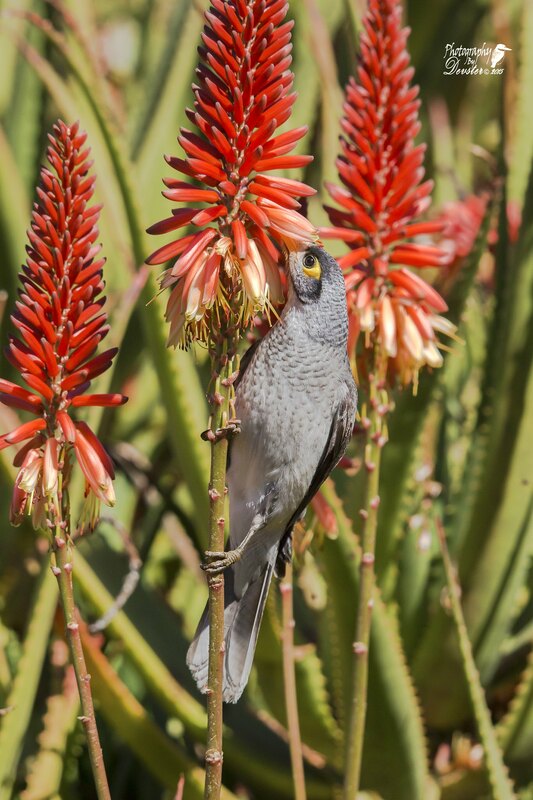 Red Wattlebird dining on Aloe Ferox nectar. 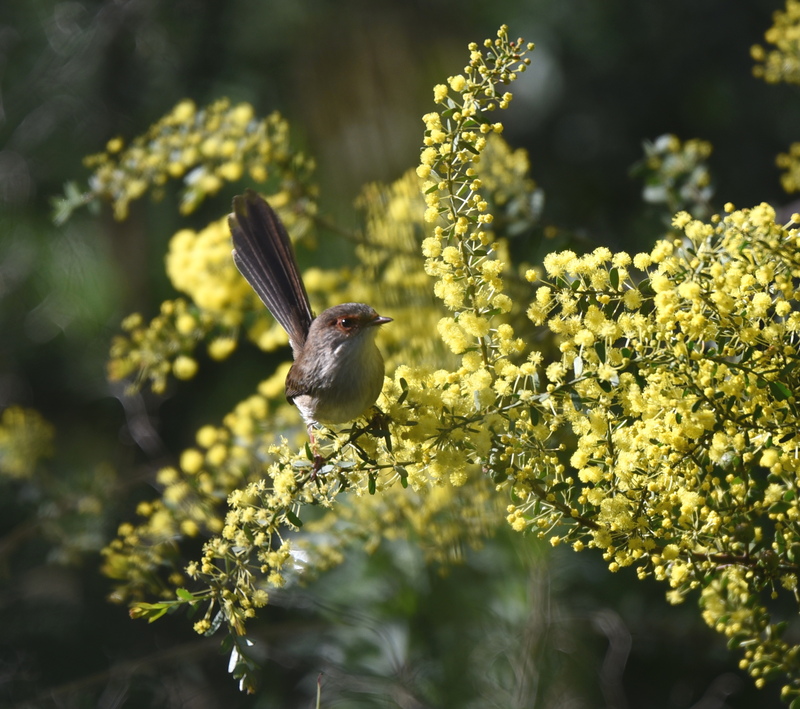 Popular subject this week and some good photographs coming through. 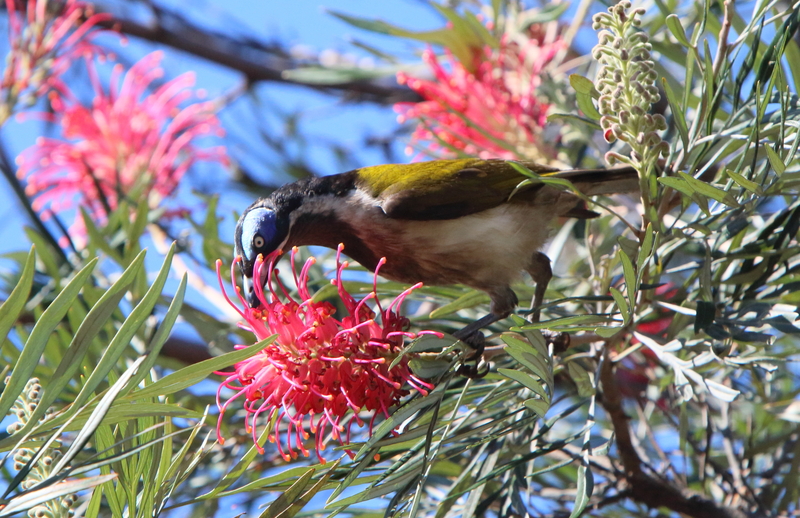 Blue-faced Honeyeater having a feed. Lol! You have to watch out for them. 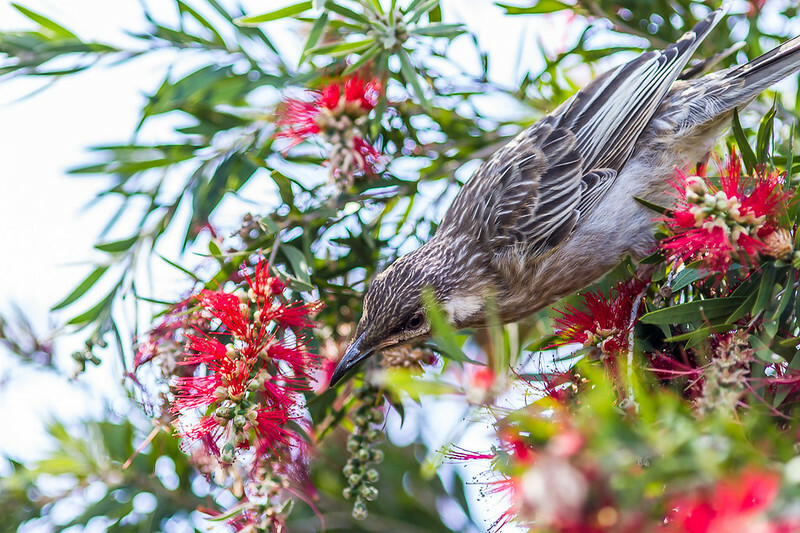 A little wattle bird enjoys a feed of bottlebrush nectre. The photos this week are fantastic. 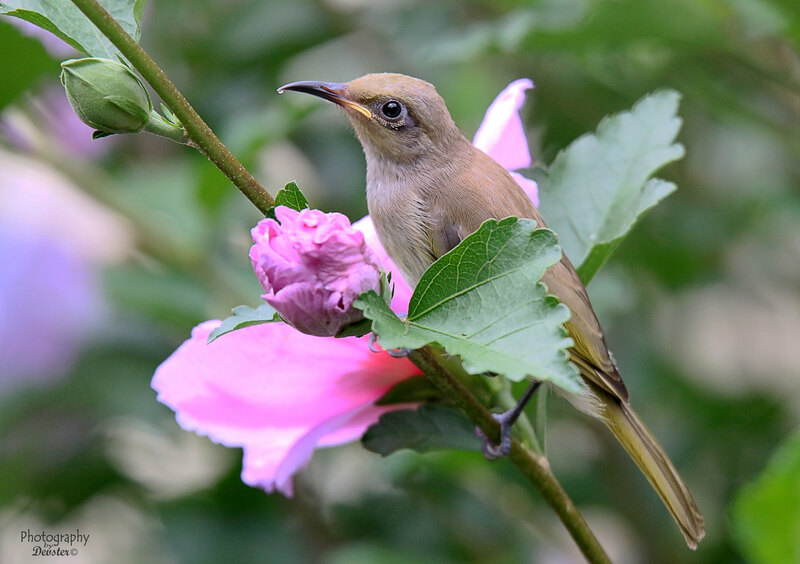 For me this is an Eastern Spinebill in our garden. 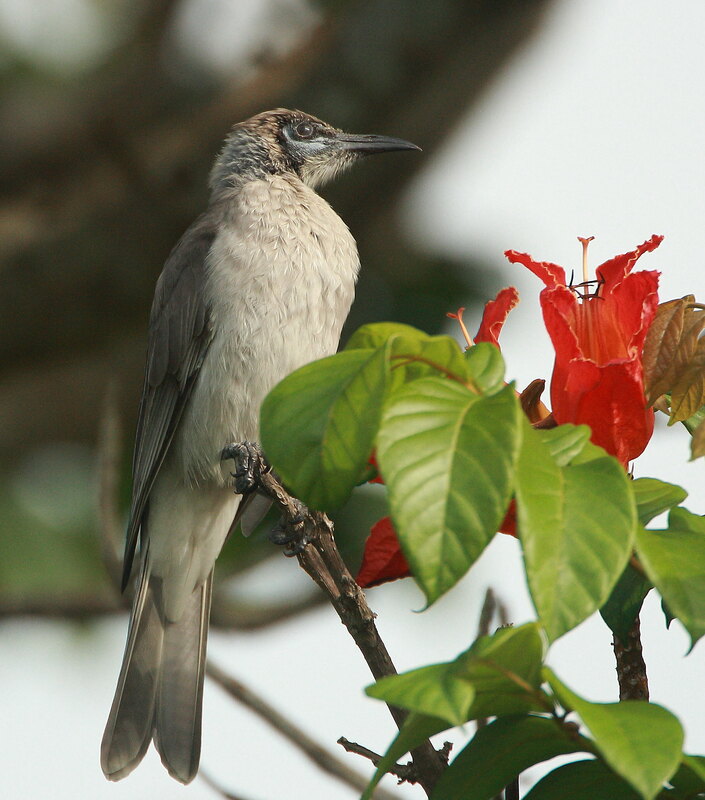 Good to see all the nectar eaters! 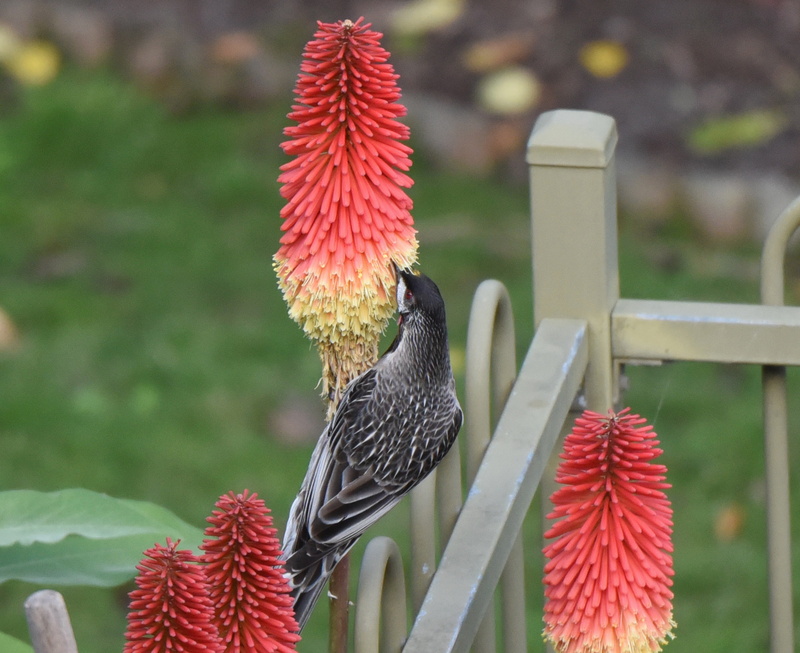 This Satin Bowerbird was, quite literally, snacking on the flowers! Petal-by-petal! 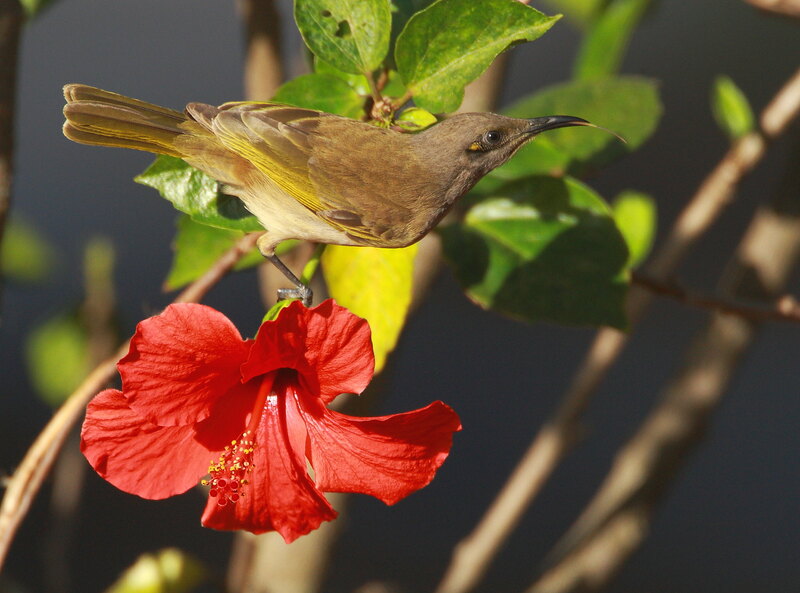 Brown Honeyeater (again) enjoying the Hibiscus. 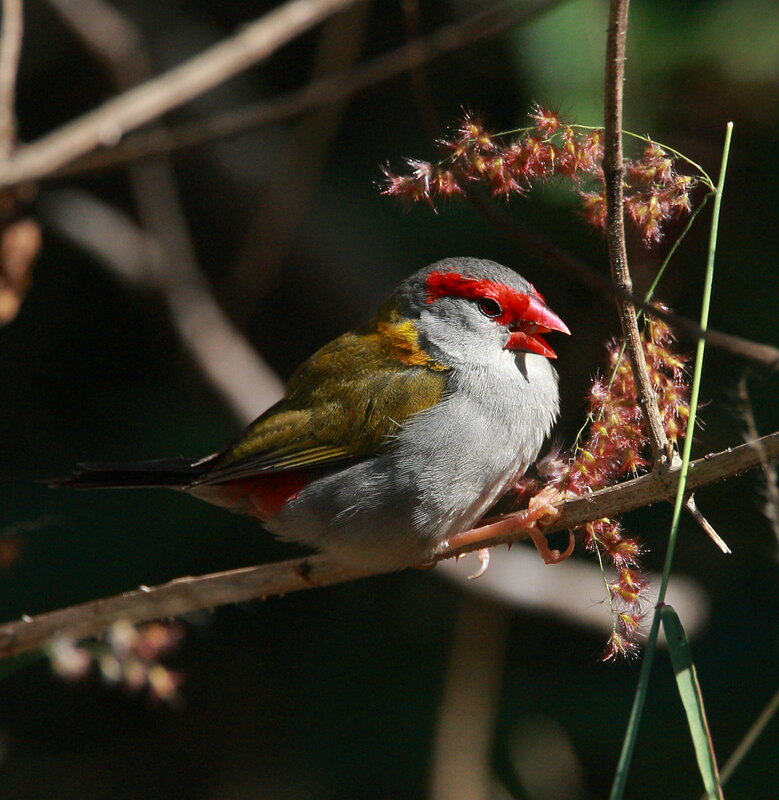 Red-Browed Finch feeding on seeds. 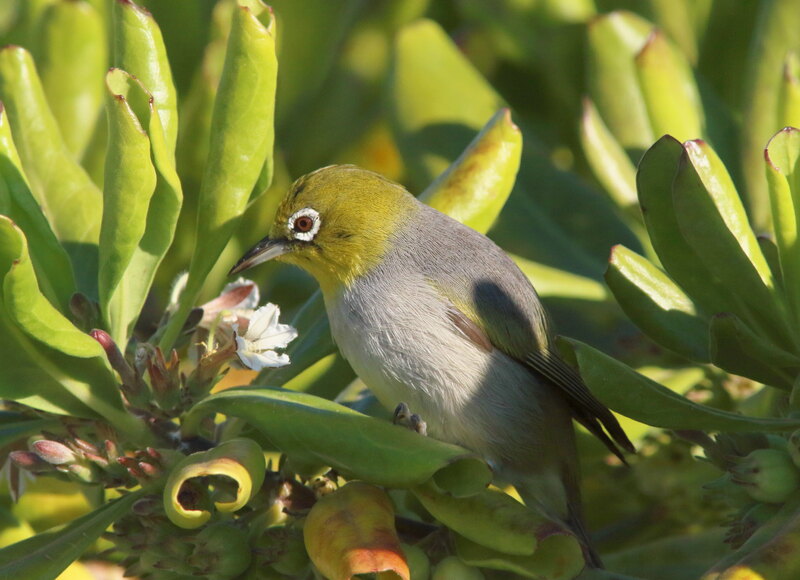 Another Silvereye but I'm not sure what the name of the plant is that it was feeding on. 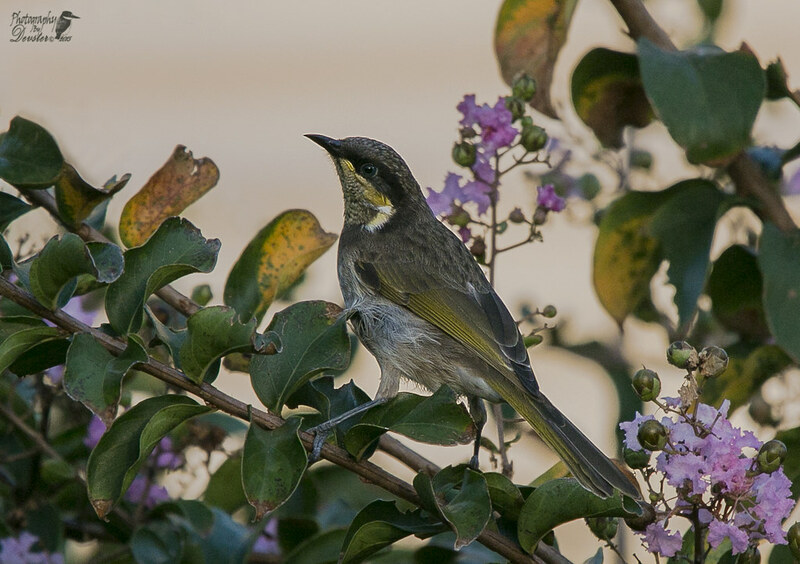 Here is a Dusky Honeyeater in our garden. Richard's Pipit saying "I don't care for flowers"
The photos are all great is it possible for some of the photographers to let us know what equipment they are using? 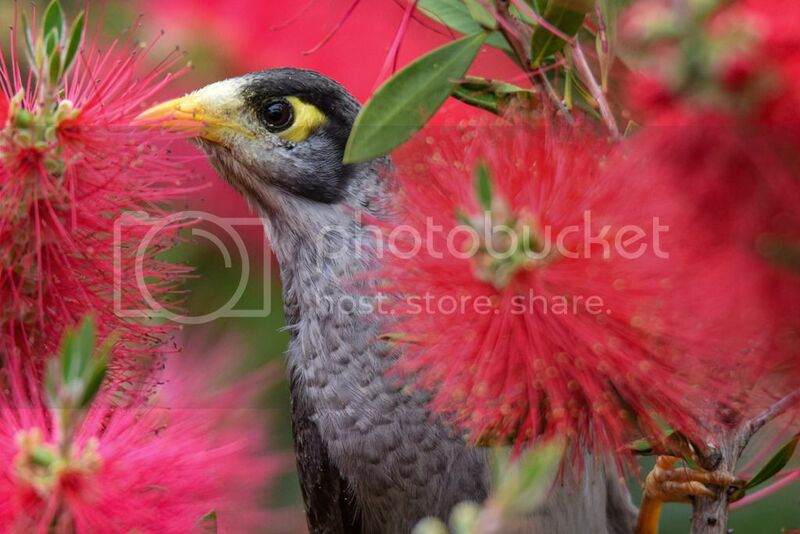 I have added a photo of a Musk Loorikeet in my Flowering Gum. 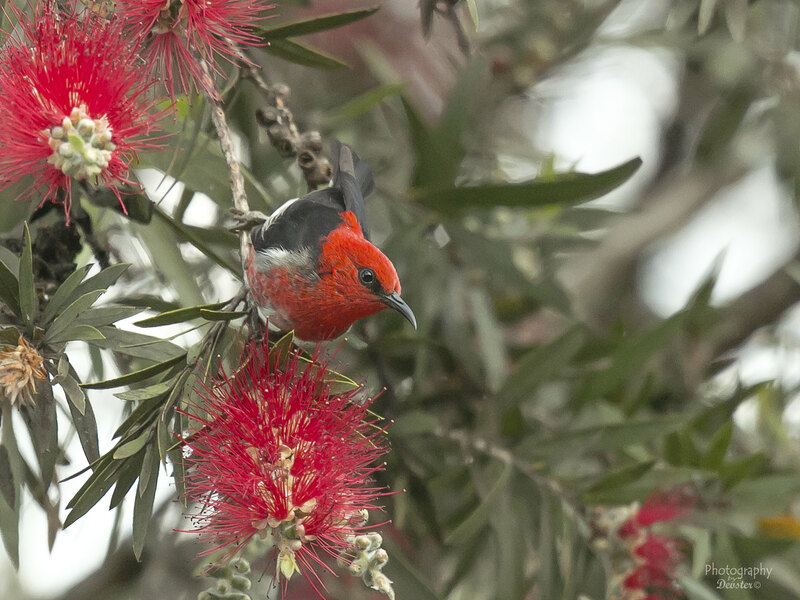 My first ever Spinebill at Mount Glorious Qld. 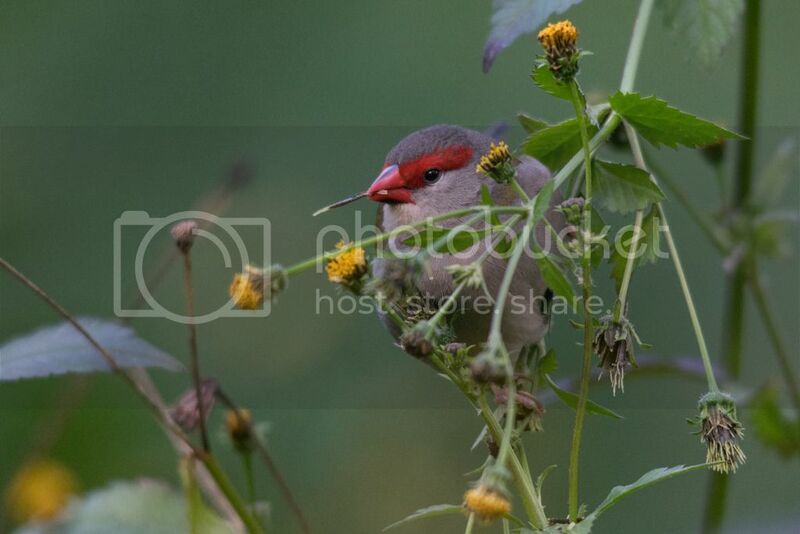 Canon 70D with a Canon 500 mm f/4L IS Lens. Thanks so much Reflex your photos are impressive, they are so sharp, I would love to achieve this quality. 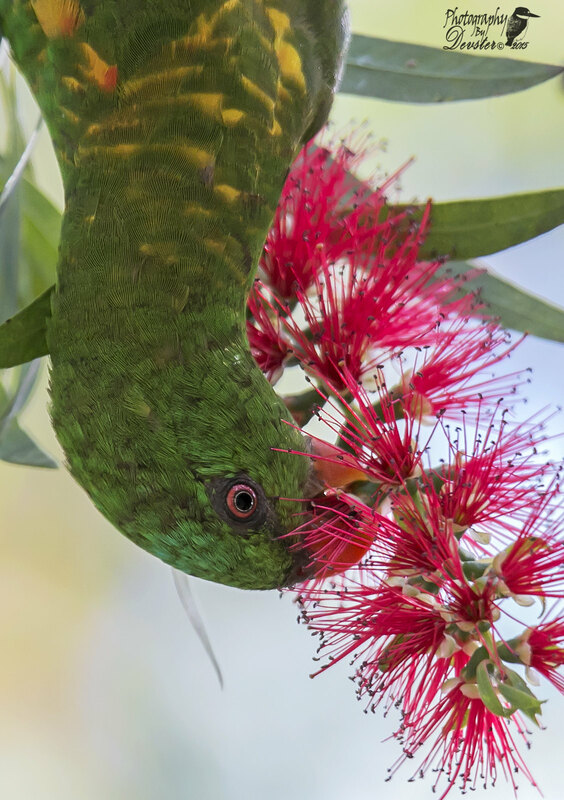 Right in amongst the flower! 1D Mk3 with 500mm lens on a tripod. 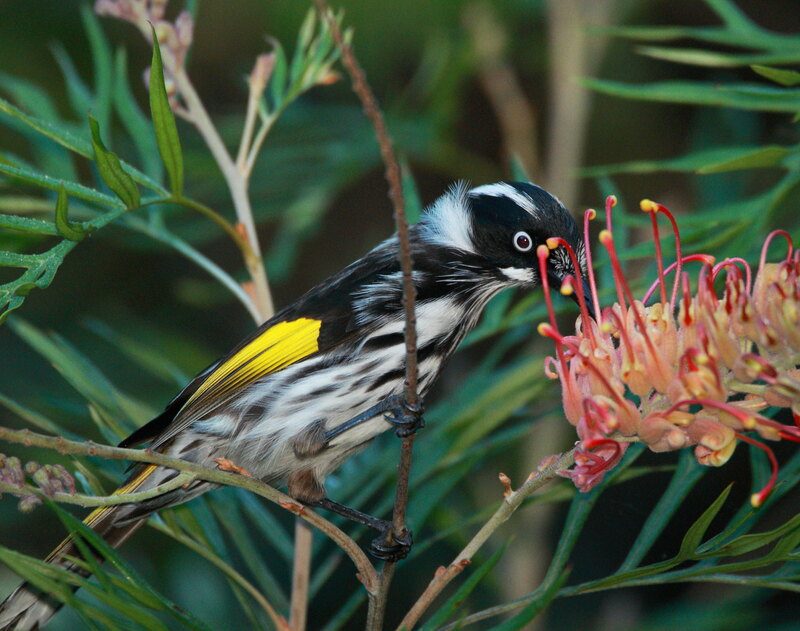 New Holland Honeyeater doing its best.